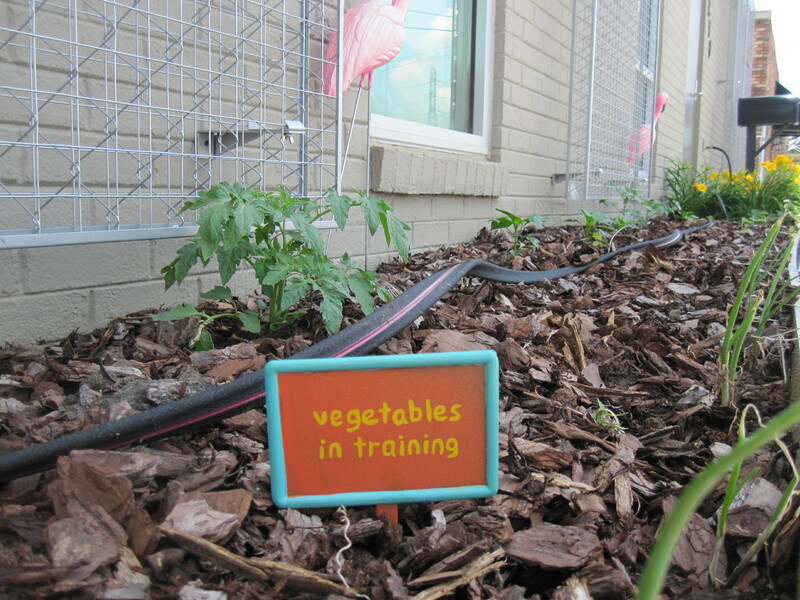 The fruit and vegetable garden at the world headquarters of the Community Resource Center has been planted and is now officially growing. Last year, I made a terrible strategic mistake due to my extremely cheap nature and the fact that I didn’t have a hose. I decided to let nature take care of the watering. Wild tomatoes and peppers survive without the aid of a sprinkler, don’t they? Well, they do survive. But most of them don’t set fruit. And the plants that do set fruit produce bitter results in the case of cucumbers and head-exploding heat in the case of peppers. The whole idea for the garden was to provide passers-by who may not have access to fresh fruits and vegetables with a little snack to take along the way. I wondered why I had no takers. Duh. So this year, it is water, water, water. I have put out four different kinds of tomatoes, two kinds of sweet peppers, watermelon, squash, onions, and basil. 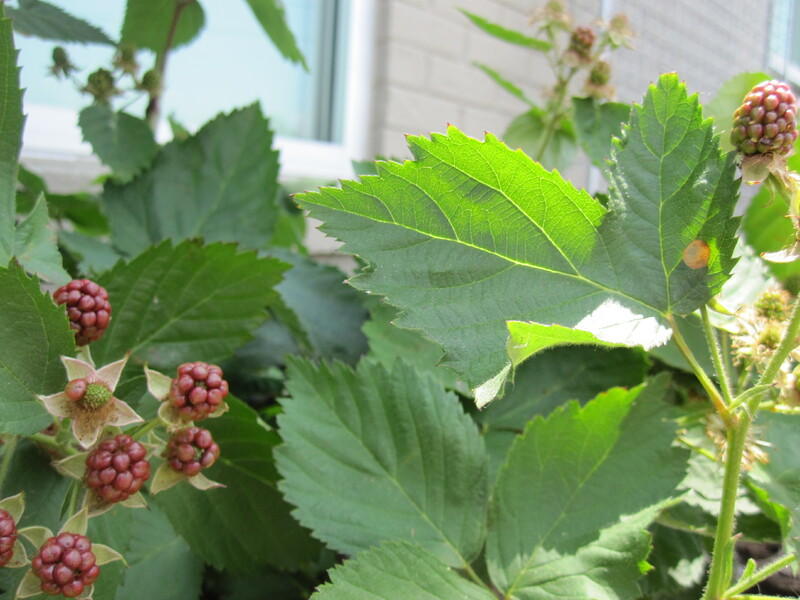 The strawberry plants are coming back, despite my cruelty toward them last year and the blackberries are going to set a record (not far to go, last year the bushes produced three…yes, three). I need to say a big thank you to Chip Higgins of Pinnacle Financial Partners, one of our fabulous board members, who planted the first garden. I am ashamed, Chip, that I blew it last year. But I am on it now. I am on it.